January 18, 2017 By Aileen 44 Comments This post contains affiliate links. As an Amazon Associate and member of other affiliate programs, I earn from qualifying purchases. 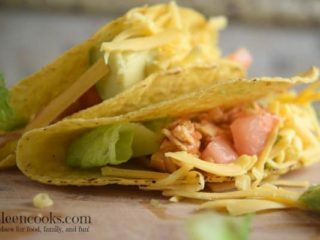 Instant pot salsa chicken tacos make a healthy and filling meal that will please the entire family. I love that you can spend just 5 minutes of prep work on this meal and come back to perfectly cooked salsa chicken. 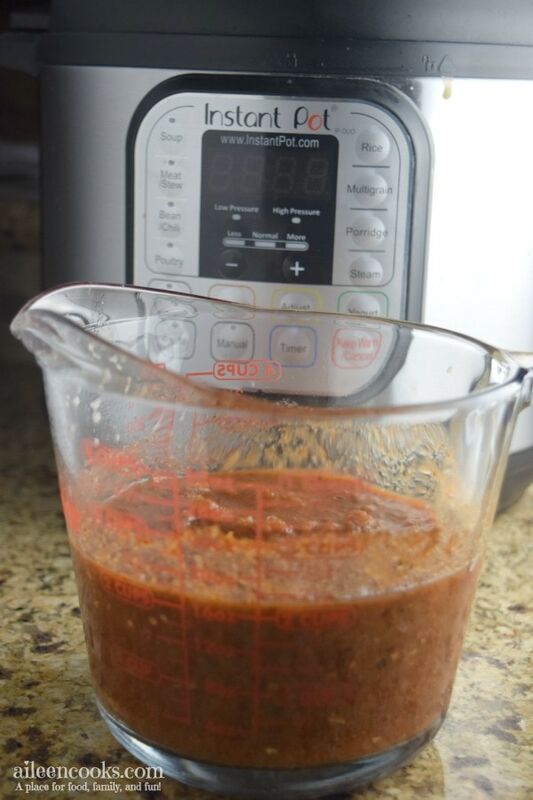 Start by whisking together a mixture of salsa, chicken broth, and taco seasoning. Pour it over frozen chicken breasts in the instant pot electric pressure cooker. Cook the chicken breasts on “poultry” for 25 minutes. Allow the pressure to release naturally for 10 minutes. 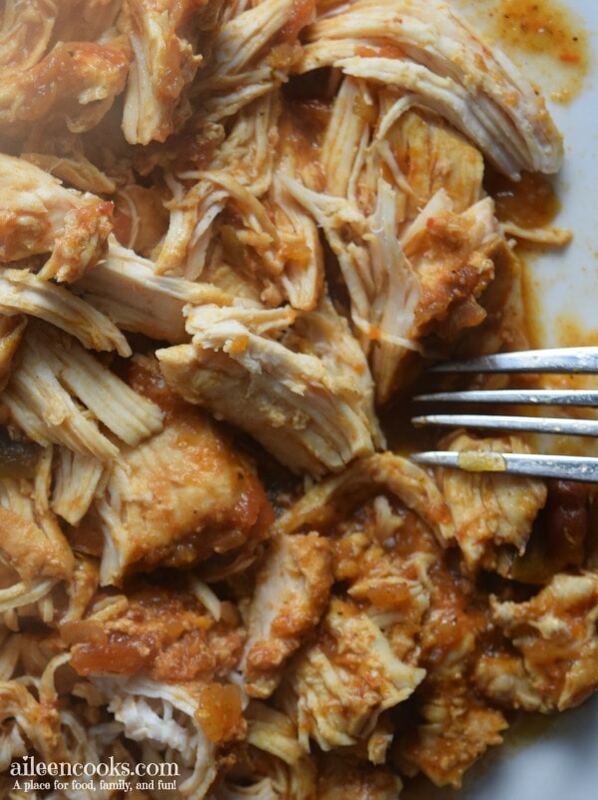 Remove the salsa chicken from the instant pot and shred. 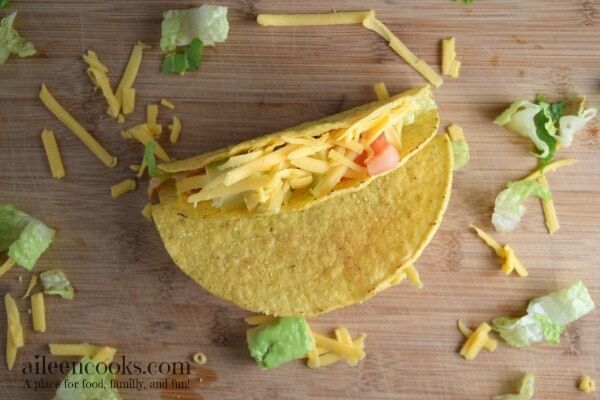 Serve in warmed crispy taco shells and top with shredded lettuce, cheese, tomato, and avocado. I love making this instant pot chicken breast recipe for several reasons. One of the reasons is because it uses my favorite seasoning mix, ever. McCormick’s taco seasoning It’s such a simple blend, but I love it so much! I actually buy it in bulk from Costco and keep it on my counter next to the salt and pepper. There are many recipes out there for homemade taco seasoning (and that will totally work for instant pot salsa chicken tacos, too), but I just love the consistent flavor and ease of using this taco seasoning blend. The other reason why this recipe continues to be a family favorite is that the leftovers can be re-purposed in so many different ways. This recipe is great for busy weeknights because you don’t have to plan ahead with defrosted chicken. If you’re like me and consistently forget to defrost the chicken, then you might like this huge list of instant pot frozen chicken recipes. Chicken quesadillas: Mix leftover chicken with a Mexican blend of grated cheese. Heat up on the stove in a tortilla. Easy peazy lunch. Chicken tostadas: Heat oven to 450 degrees. Place large tortillas on a cookie sheet. Top with refried beans, leftover chicken, and cheese. Bake for 8 minutes, until hot and bubbly. Top with sour cream and scallions. Mexican scramble: combine whisked eggs and leftover chicken in a skillet over medium heat. Cook until eggs are cooked, but still soft. Sprinkle with cheese and stir to melt. Healthy and flavorful instant pot salsa chicken tacos made in your electric pressure cooker. For serving: 8 crispy taco shells, shredded lettuce, shredded cheese, chopped tomato and avocado. Place frozen chicken breasts in the bowl of the instant pot. Whisk the chunky salsa, chicken broth, and taco seasoning together. Pour the salsa mixture over the chicken breasts. Set Instant pot electric pressure cooker to poultry - 25 minutes. Natural pressure release for 10 minutes. 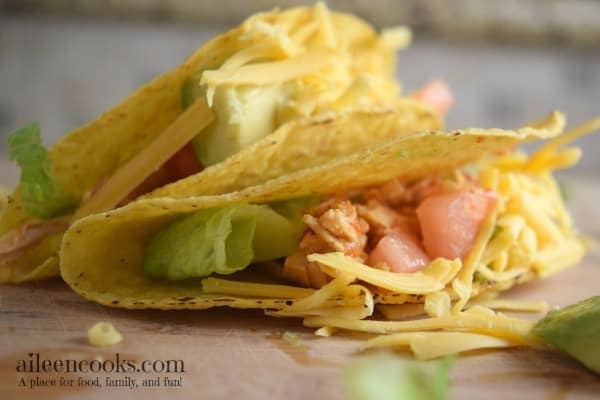 Serve instant pot salsa chicken tacos in taco shells; topped with cheese, lettuce, tomato, and avocado. 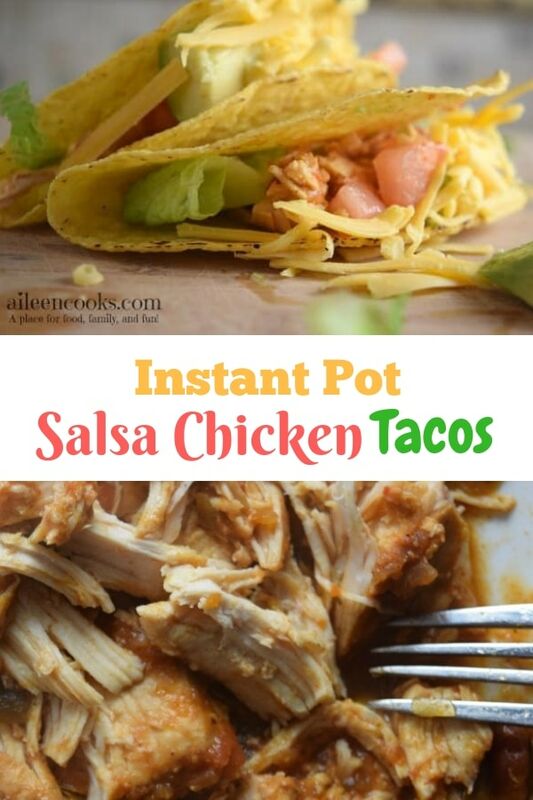 Did you try this recipe for Instant Pot Salsa Chicken Tacos? Please consider leaving a rating and comment. These sound easy and good Aileen! 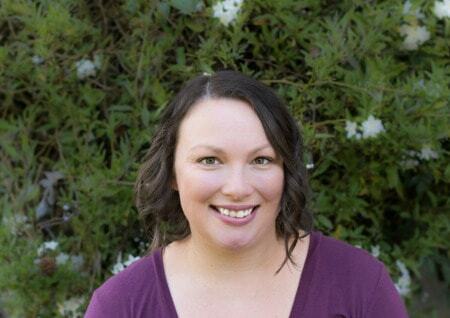 Thanks for sharing at our first Instant Pot linkup! yes, they were easy and good. I did change them up a bit(it’s what I do!!) I used individual seasonings instead of taco mix, too much cumin for me. I added a little (very little!) cilantro, cumin, onion flakes, garlic powder, dash of chili powder (doesn’t like me anymore). mainstay stuff. I so had a hard time only eating 3! Joyce, that sounds delicious! Thanks for sharing your tweets and your experience with the cook time. I’m sure your comments will help more than one person. ? I have the lux60 and it doesn’t have a poultry button. Do you think the meat button will work? Hi Carrie! Yes. The meat button will work. I just made this for my very first instant pot meal. It was amazing!!!!! I followed the recipe to a T and it said “burn” on the display. Should I add in more chicken broth next time? Hi Bri. Oh no! I’m so sorry this happened! You will want to open your lid, scrape off any bits stuck to the bottom of the pan (and discard those parts if badly burned) add more broth, and start again. Hello. Can you double this recipe? And if so, do you increase the cook time? Thanks! Hi Kirstin. Yes, you can double it, the cook time stays the same. What’s the cool time of chicken is not frozen? Hi January! The cook time for raw chicken is 15 minutes. Would you double the liquid as well? I’m new to IP. If I increase the quantity of meat, do I increase the cooking time? Sorry – I see that someone already asked. THANKS! This looks so good and my family loves tacos! I really think I need to get an instant pot!!! Do you use all 16 oz of salsa or just 1 cup? The recipe says both quantities. Hi Sarah! 16 oz of salsa. I will update my post. Thank you so much for bringing this to my attention. Hopefully, I responded in time for you to try out this recipe. Hi Aileen Yesterday I bought an IP Ultra 60. First I did the water test to familiarize myself with the electric pressure cooker. I have been using a stove top pressure cooker for 20yrs. The water test went fine. Tonight for dinner I tried your recipe for IP Salsa Chicken Tacos. as I was intrigued with the idea of cooking FROZEN chicken. Your recipe states to cook the IP Salsa Chicken Taco using the “Poultry” setting. The IP Ultra DOES NOT have a “Poultry” setting, so I tried the “Meat/Stew” setting. Immediately after the “Meat/Stew” cooking program started, I received a “BURN” message. First time cooking in the new IP, I felt there couldn’t be anything on the bottom of the inner pot. I stopped the cooker, wondering if it was the frozen chicken that caused the “BURN” message to appear. I changed the setting to “Pressure”, and started the cooker back up, after pre-heat, the cooking program began, and 25 mins later we enjoyed the best IP Salsa Chicken Tacos cooked from the FROZEN state. My question is this Why did I receive the “BURN” message on the “Meat/Stew” setting, After the “BURN” notice, I DIDN’T release the pressure or open the cooker and inspect the inner pot, I just stopped the cooker, changed the setting to “Pressure”, adjusted time and started the cooker back up?? Thank you for sharing such an easy and delish recipe for a beginner Electric Instant Pot user to start cooking with. I have tried 2 times and continue to get the burn notice. I took everything out and scraped the first time. I then added more broth and added everything back in. Second time, burn notice AGAIN. I gave up and just threw it out! So frustrating! Stirred it around and I’m trying it on Pressure Cook instead of Poultry to finish. Hoping it works! Oh no! I’m going to go ahead and change my instructions to just use the manual pressure cook option since that seems to work better. Thank you for your feedback – I hope it worked out for you. I needed a recipe that was quick, easy and tastey and this was it! I doubled the recipe (using the same cook time) and it turned out great! I served the chicken over baked potatoes with all of the fixings and my family loved it. Thanks for a quick meal idea using frozen chicken! I love this recipe idea but have a cuisinart pressure cooker and don’t have these options. Would I just cook it on high for 15 and then quick release it? Hi Ashley. Cook on high pressure for 15 minutes then natural release for at least 10 minutes. If you want to use frozen chicken breast, then increase the cook time to 25 minutes. I have tried this recipe multiple times and it has burned each time. The first time, I tried it with thawed breasts but otherwise followed the recipe using pace picante. It burned. I ended up adding 3/4 cup water and put the chicken on the trivet. The second try I used frozen chicken breasts with Herdez. Still burned. I added 1/2 cup water, trivet, chicken breast, then sauce on top. Overall I found this too liquidy and finicky for my liking. I will stick to just making shredded chicken and adding sauce and seasonings after shredding. I love the idea but this was a miss for me. Hi Heather. I’m sorry the recipe didn’t work out for you. Thank you for sharing the ways that you tried to make it work. Hi! I just made this after looking for a quick recipe that called for frozen chicken and a few items I had at home — bingo on the taco seasoning and taco salsa!! While my IP doesn’t have a “poultry” button, I used the Manual button at 25 minutes. Now I did use 5 large frozen chicken breasts, 24 oz salsa, and a cup of chicken broth, but the chicken came out great! I highly recommend this recipe and if you had any issues, try using the Manual at 25 minutes. I’m glad you and your family liked it. It is one of our favorites that we go back to again and again.